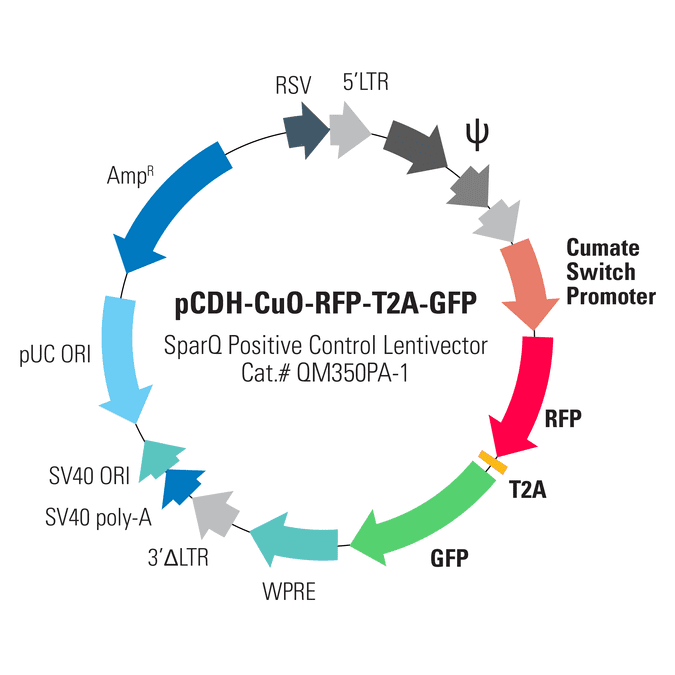 Maximize the efficiency of your SparQ™ Cumate Switch System projects with the pre-built, ready-to-go pCDH-CuO-RFP-T2A-GFP SparQ Positive Control Vector. No need to create expression controls—we’ve got you covered so you can make sure the SparQ System is optimized in your lab with your cells. RFP and GFP reporters are co-expressed from the inducible cumate switch promoter, with co-expression mediated by a T2A element.